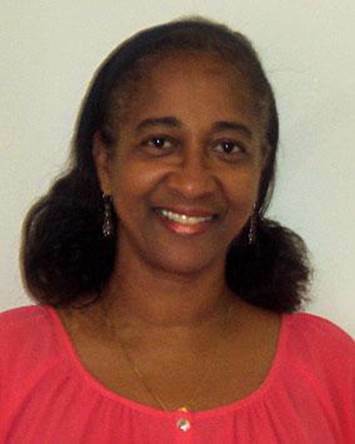 Jackie Remy of St. Agnes' Church in Little Falls describes herself as: a black woman; a mother of five, including four sons, one of whom is a police officer; a grandmother of two biracial grandchildren; and the only black member, currently, of her congregation. After the shootings in Baton Rouge, Minnesota and Dallas, which resulted in the killings of two black men by police and of five officers by a black man, Jackie shared with her congregation what she's learned from living and raising children in mostly white communities. "It’s easy to pray. It’s not easy to hear God’s voice. It’s not easy to listen," she says. "It’s not easy to walk in another’s shoes or to comprehend their struggle or pain unless you first listen." Her reflection is reprinted here with permission. I’ve always mentioned that it took me a little more than almost 25 years to come inside the doors of St. Agnes’. Not because of something that was done or said, but because of my own fear, mistrust and other experiences. It is not always easy being the only black person or minority in a school, neighborhood, restaurant or Church. It takes great self-esteem, courage, faith and trust. I am glad God gave me the courage and insight to open those Church doors 3-4 years ago. Having said that, my husband and I have five children altogether, four of them are sons, one of whom is also a police officer. While our sons were teens and young men, my husband and I always had "the talk" with them. My husband still reminds them of the talk to this day, even though they are all adults. The fact is that they are black adults/black men and so “the talk” is a constant reality, especially when they are driving an expensive car or driving through a more affluent neighborhood, especially as Jelani often does. "The talk” has helped many minorities to live. It’s something another race can never understand even though I am sure, many families have the "be careful talk." Our talk is a different talk. It’s a talk about how to survive, how to positively respond in order to survive when approached by the police or one of another race who may intend to harm or cause harm. We also taught them to be respectful of the law, others and of self. I remember, feeling unwelcome in restaurants and being looked upon with suspicion when entering Lord & Taylor many years ago. I wasn’t dressed disheveled or anything of the such. We were always a more conservative family, especially being born in the West Indies. My husband and I raised our children in the same fashion. We even scolded them and forbade them to wear their hats with the cap turned to the back years ago. We knew people would judge the wrong way plus we were conservative in ways and attire (they said old fashioned). I remember being told by Caucasian people that we are different because we don’t act black and being told by black people that my children speak White. That’s the first time I learnt that white was a language. I was also told by a Caucasian supervisor that she never knew I was black because I didn’t dress, speak or write black. (Funny, I know but not really.) We merely expected a higher standard of behavior and level of education for our family. Having said all of these things. Our children also grew up in mostly white neighborhoods because my husband knew that is where the best education would be and he sought out the living arrangements for us. Prior to that, four of our children begun with a Catholic School Education in New York for a short time. Then we moved to Florida, and then New Jersey. For the most part, we’ve had excellent experiences and support system from our Caucasian neighbors, police officers, school districts etc. You all saw that from the respect and support that was evident from our neighborhoods of Little Falls and Cedar Grove especially, through Jelani’s relationship when he assisted St. Agnes’ with fund raisers. That is not to say that our sons did not experience any bias or stress at all, in some way, at School because they are black. That is not to say that my husband and I have never experienced bias or some sort of profiling at all ever in our Suburban Sub division in Florida when our home was built. I’ve always been an advocate for positive change, in order to help the Community become more inclusive. I’ve been pleased with the response received even back in those years being a resident in Cedar Grove. It’s never enough to say, I have a white friend or a black friend or a Muslim friend. It’s not even enough to just say I have a friend. How do we embrace that friend or talk about that friend or their race/religion when in private from those “special friends” or even token friends as some may say? Are we having our own talk with our children, grandchildren and friends about the golden rule? How are we advocating for Nation building? Are we an advocate for treating others as we would want to be treated, especially as it relates to race? I’ve asked myself these questions as well. These are talks we really need to have with self and others. It’s easy to pray. It’s not easy to hear God’s voice. It’s not easy to listen. We need to learn about each other. It’s not easy to walk in another’s shoes or to comprehend their struggle or pain unless you first listen. It is time to listen, pray and find positive ways to unite, educate, provide community and police resources. There are lots of things to talk about and work on, whether it’s gun reform, mental health issues or legislation or a number of other items. First, we have to listen and change our negative, and any illegitimate or legitimate negative and un-trusting ways of thinking of each other. We have to change our actions that led to these feelings; actions on all fronts by all involved parties. We have to understand that it’s out of control and we have to care. Sometimes at coffee hour, here at St. Agnes’, the ladies and I sit and chat. We talk about many topics and some are very engaging and deal with current topics of concern but I bet you didn’t know a few things about me just as I don’t know certain things about you. However, I feel we have genuine respect for each other. My husband and I were Correction Officers and so we also listen to the conversations about the gun debate issue and the Second Amendment rights. Those issues and conversations are secondary because we first have to listen and respect. We have to respect each other and we have to respect life. God has placed me in many categories of being a woman and mother. These include being a black woman, a mother and grandmother. I am a mother of four sons. I am the grandmother of two bi-racial grandchildren. I am the granddaughter of a Caucasian man. I am also the mother of a police officer who is sworn to protect and serve the public (all of the public). I am also the only black person in your congregation at this time. However, I am also the recipient of your genuine affection and embrace and I thank you. It’s never a good idea to look at any one and place them in an assumed category, especially out of a fear or stereotype. It’s time to reclaim what God has given us and take a step back. We are blessed with free will, but not free will to destroy each other. We are all too rushed to learn. Too rush to judge, to speak, to do harm, to lie, to inflict pain and suffering and to disrespect. We are slow to apologize, to be tolerant, to be inclusive, to appreciate others, to understand what others go through to keep us safe, to say thank you or to appreciate being able to live in this great Nation, despite its flaws. Sometimes, we are even to rushed or just don’t care to say good morning to those we see. Sometimes, we don’t care to respond when said good morning to. It’s time to just basically do the right thing. Treat others as we would want to be treated (without regard to race, gender, sexual orientation, creed, profession, wealth, or standing in society). We have enough outside influences. We also have to be mindful of feeding fears and stirring anger whether through irresponsible chatter, the use of technology or actions. We need to continue Nation building and rely on each other’s strengths and learn from mistakes of the past. Let us keep our police officers and those in Authority in prayer and give them the respect they do deserve. We ask the same of them. Please, let’s not paint each other with a wide brush. I hope you understand my need to discuss.